A new form of journalism emerged in 2012 with “Hunger in Los Angeles,” a story that placed viewers in a food bank line to witness a man falling into a diabetic coma. 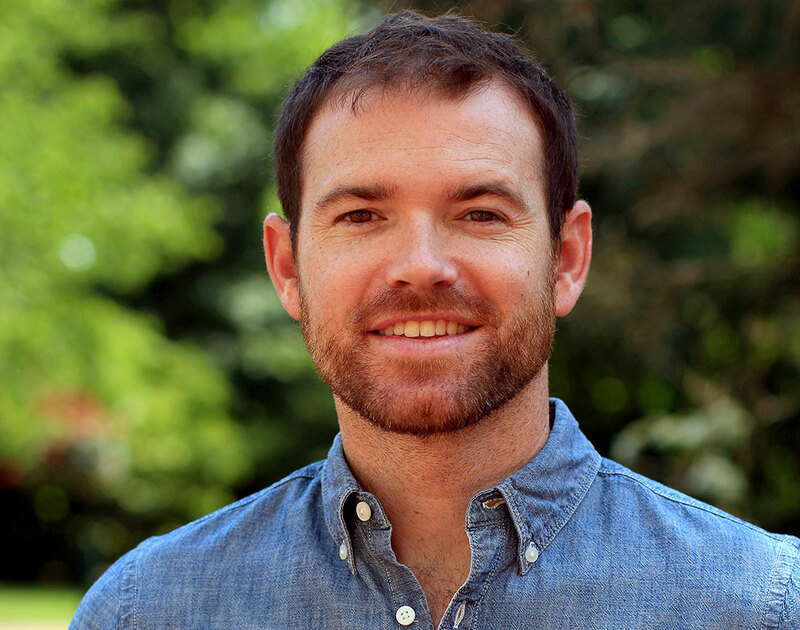 The story was the first piece of virtual reality journalism, said doctoral candidate Cole Stratton, who studied the history of and potential for the use of VR in public affairs reporting. Stratton, this year’s recipient of the Kern Scholarship for Innovation in Journalism, presented his findings at Friday’s research colloquium. The annual Kern award funds graduate student research on concepts related to journalism’s public affairs mission. While there are both advantages and challenges to using virtual reality as a journalistic tool, Stratton said one of the most exciting capabilities is that it creates a truly immersive experience. Stratton said journalism was part of what kicked off this new wave of interest in the technology, which is also popular in gaming, workforce training and other applications. “The sort of driving force behind the first piece of VR journalism was getting you to experience the news,” he said. Other news organizations began to recognize the power of virtual reality journalism, he said, and started partnering with production companies to create it. For example, in 2015, Google and The New York Times partnered to mail cardboard VR headsets to readers, which they can put their smartphone in to experience a rudimentary form of virtual reality. “Over the course of 2015 and 2016, you see this explosion, and basically all major news organizations start to experiment with VR,” Stratton said. However, because virtual reality journalism is a new medium, many obstacles still exist to it becoming a mainstream format. Stratton identified challenges with the technology required to produce and view the content, uncertainty about monetizing the medium and the learning curve associated with creating and editing the pieces that all must be addressed as this technology progresses.